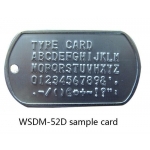 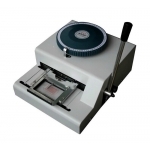 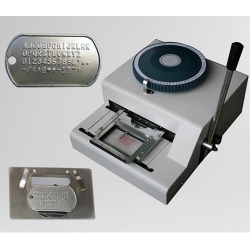 Manual Dog Tag machine is the necessary equipment at the end of the process of producing Dog Tag, this device, which is used to press out the outstanding letter of alphabet and numerals on the surface of Dog Tag, makes it to be identified or exclusive. The manual and electric type of the machine on the market is two kinds of, Manual machine is cheaper and easier to use, so medium and small companies of producing card use it. 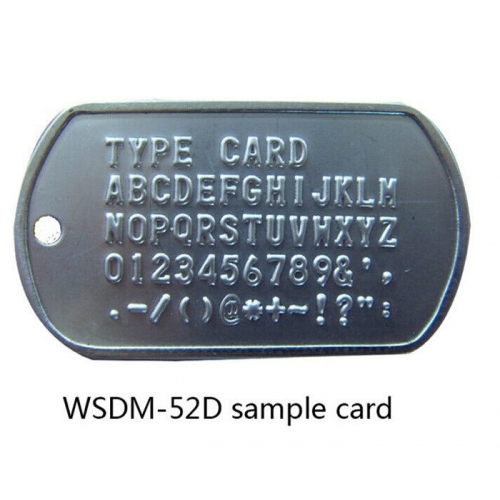 Manual Dog Tag machine has characteristics of reliable structure, accurate orientation, small bulk, laconic exterior and convenient operation. 1. 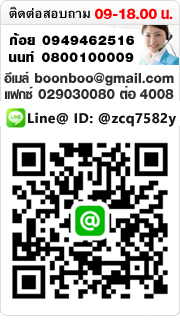 Adopting ISO international credit card special character. 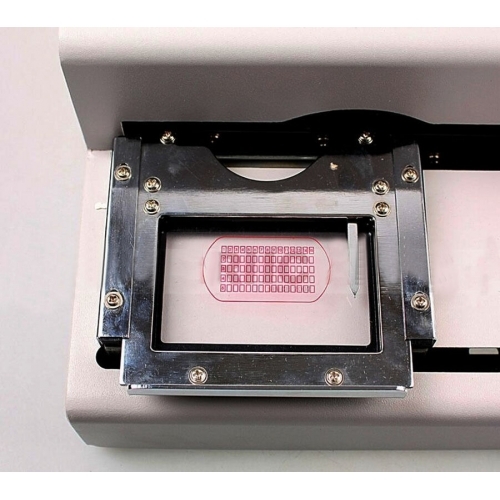 เครื่องทำเนมเพลท ปั๊ม พิมพ์เนมเพลท Name plate Embosser.